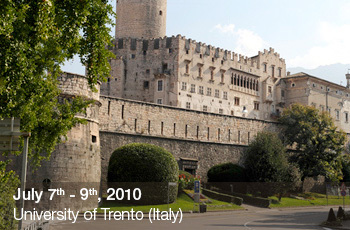 The aim of the symposium is to bring together researchers and practitioners from industry and academia and provide them with a platform to report on recent developments, deployments, technology trends and research results, as well as initiatives related to embedded systems and their applications in a variety of industrial environments. - the ADVANCED TECHNICAL PROGRAM IS AVAILABLE! see the technical program webpage. The call for papers is available! Please submit the abstract in PDF format using the paper submission system. Make sure the document includes at least two pages (even if they are mostly blank) as the system requires this minimum size. You'll then be able to update your submission later before the paper deadline.